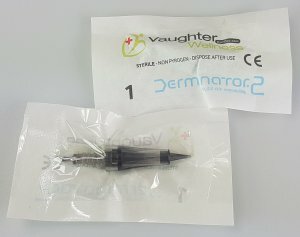 Derminator® 2 digital dermaneedling cartridge (single needle). Needle diameter 0.15 mm. (38 SWG, 34½ AWG). 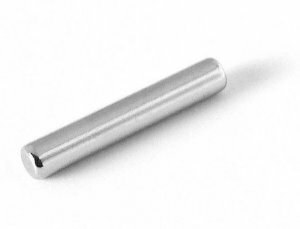 A single-needle cartridge is very useful for treating narrow scars such as certain stretch marks. Also, any time you need to treat a very small skin area, a single needle is a much more accurate choice. Does not fit on our original Derminator! 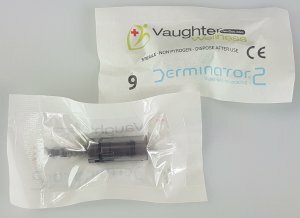 Derminator® 2 digital dermaneedling cartridge (9 needles). Needle diameter 0.15 mm. (38 SWG, 34½ AWG). 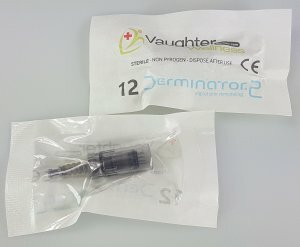 Derminator® 2 digital dermaneedling cartridge (12 needles). Needle diameter 0.15 mm. (38 SWG, 34½ AWG). Replacement magnet for the Derminator® and Derminator® 2 machines. For when you lost the original magnet.